This early Lanchester E18 was fitted with a 2390cc ohv engine with non detachable cylinder head. After 1936 the engine size was enlarged to 2565cc and although still marketed as an ’18’, was actually taxed at 20 hp. This particular car was bodied by Daimler, the chassis was also made available to outside coacbuilders and some lovely cars were built. The E18 belonged to a friend who had two similar cars, the other one was roadworthy and in regular use, this car however, had not been used for 40 years. This particular E18 is the oldest known survivor of this model and was well worth recommisioning. The engine had been reconditioned some thirty years before and run for only a short while, when it developed a fault. I stripped the engine and discovered that it had a damaged piston (probably defective from new, or damaged during the rebuild). I managed to source a new one from Australia, luckily the cylinder was undamaged and the rebuild was therefor very straightforward. 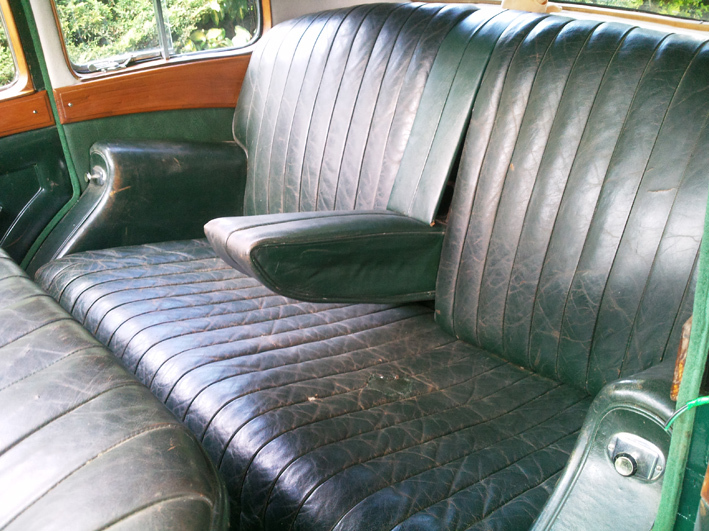 The coachwork was in remarkably good order and was simply flatted back and resprayed, the leather responded to a good clean. New headlining and carpets were fitted and the car was rewired and a new voltage regulator fitted. All new glass was fitted as the original had delaminated and some panes had cracked. 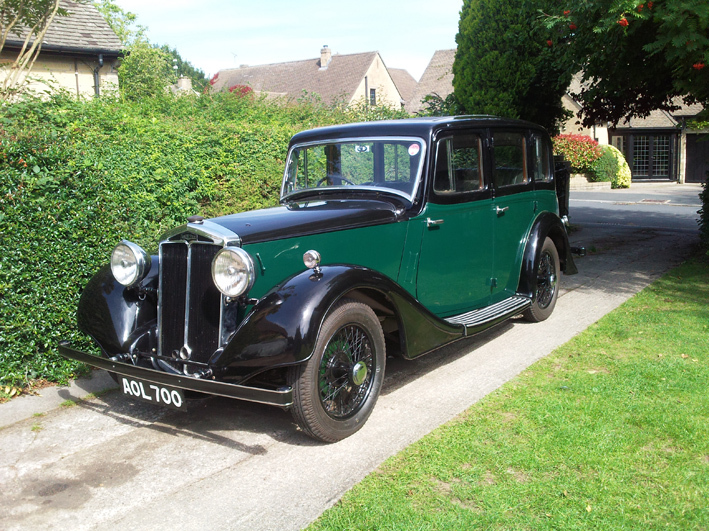 The sunroof was repaired and a new set of tyres and tubes fitted, the carburettor was rebuilt and a new heavy duty battery fitted, the car finally started and ran after 40 years of enforced inactivity. 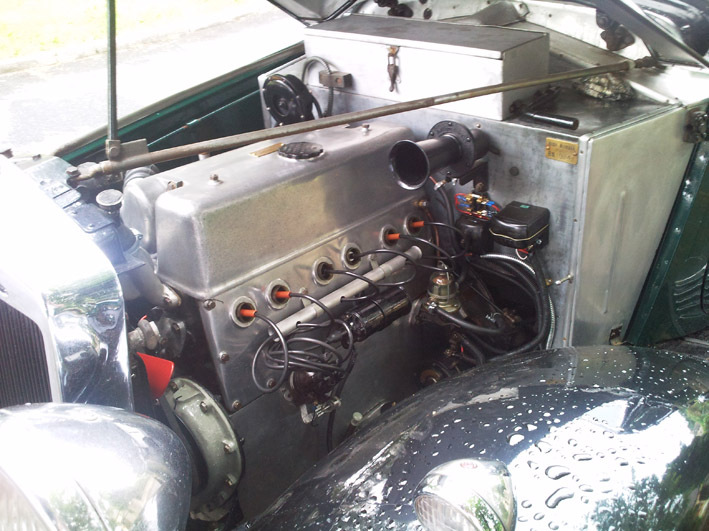 Remarkably the steering, rod operated brakes and suspension, were all in good working order, the fluid flywheel seal required replacement, as did the gearbox rear seal, an easy task with the components out of the car. Once back on the road the Lanchester proved to be delightful, the steering and ride quality were exceptionally good for a car of its age and size. The performance was impressive for the size of the car and was very similar to the later 14 hp Roadrider De-Luxe. The coachwork was roomy yet not unduly large, the boot was however a bit of a disappointment, it was actually a spare wheel locker but did at least have the benefit of a useful, fold out rear luggage rack. 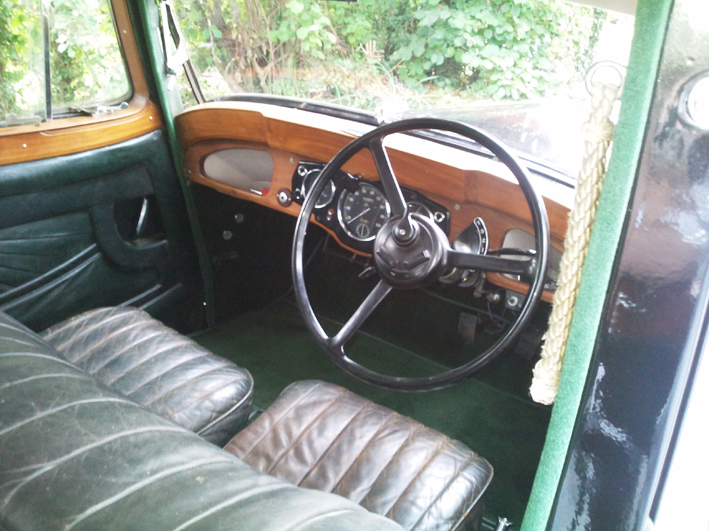 The interior was very nice, with a full sunroof, opening screen and quaterlights, plenty of attractive woodwork, lovely aged leather and an attractive instrument panel with Art – Deco touches. The rear seat passengers had a lovely folding footrest, picnic tables, rope grabs, armrests and a foot level courtesy lamp operated automatically. The most comfortable cruising speed, I found to be around 50mph, with a bit more available, if required. The low gearing does not render the Lanchester particularly suitable for motorway touring, although a short burst behind a Tesco lorry, on the way from Weston Super Mare to Bristol, did it no harm. On the A and B roads the car really does come into its own: A lovely run from Bristol to Newbury on a bright, sunny, winters day was carried out without a break, the driver feeling refreshed and alert and quite capable of making the return journey the same day. The E18 is almost identical to the Daimler E20, although the early models like this one had a smaller and lighter engine, this may have had a reflection upon the handling and steering, which was certainly lighter than the E20. Although only slightly larger, the E20 felt more powerful but this may have had more to do with the light alloy body, than the increase in cc. Lanchester named their later 14 hp cars ‘Roadrider’, for very good reason, this car’s road manners are equally as impressive and could have quite justifiably been awarded the same descriptive prefix. 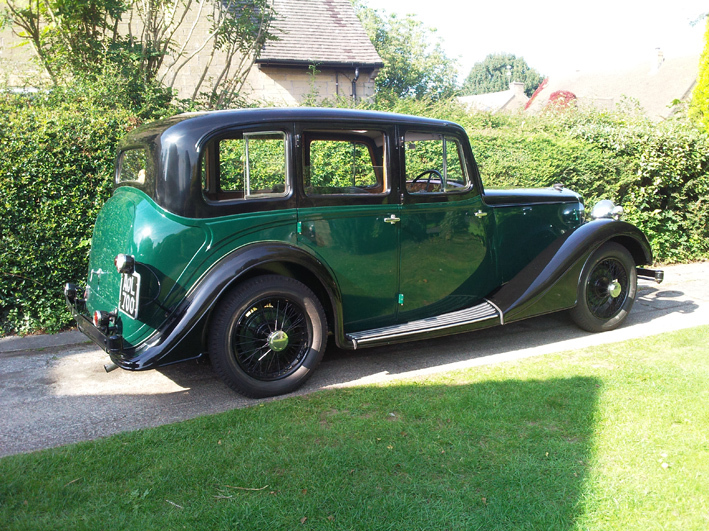 The Lanchester E18 is a delightful car and one of the classic car world’s best kept secrets, smaller than the smallest Rolls Royce but finished to the same standard, easy to handle and quick enough to keep up with traffic, these economical family sized motor cars are a pre war driver’s delight. If you would like to know more about the Lanchester E18 please contact me by submitting the form below.